The Armada BDog alpine skis are designed to withstand the abuses of urban and park skiing for the intermediate to advanced skier. If you take the soft, buttery flex that everyone loves about the Edollo and place it in a narrower, lighter chassis, you've got the Armada BDog Skis. Designed to meet the demands of Phil Casabon's oh-so-saucy style, the BDog Skis embrace creativity like no other. In order to withstand the abuses of urban and park skiing, these skis feature extra beefy 2.5mm Impact Edges and resiliently 'poppy' carbon-Kevlar® struts running the length of the core. 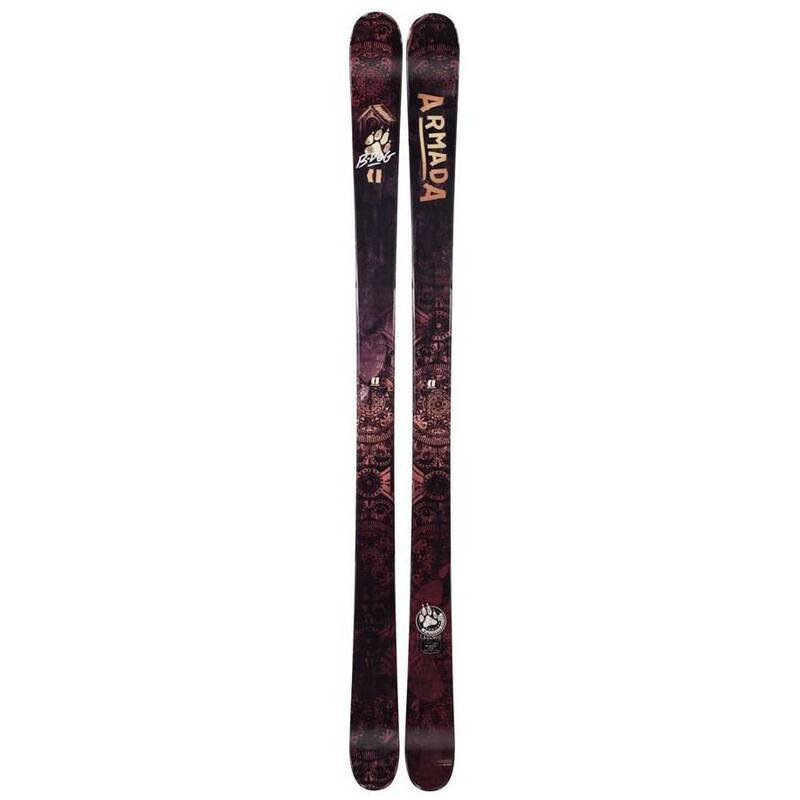 Be inspired, be creative and blaze your own stylistic trail with the Armada BDog Skis.